Simple and effectiveit covers within 15 minutes an area of 13-24 m2. The trailer can be used to transport various equipment (barriers, practicable,booths). 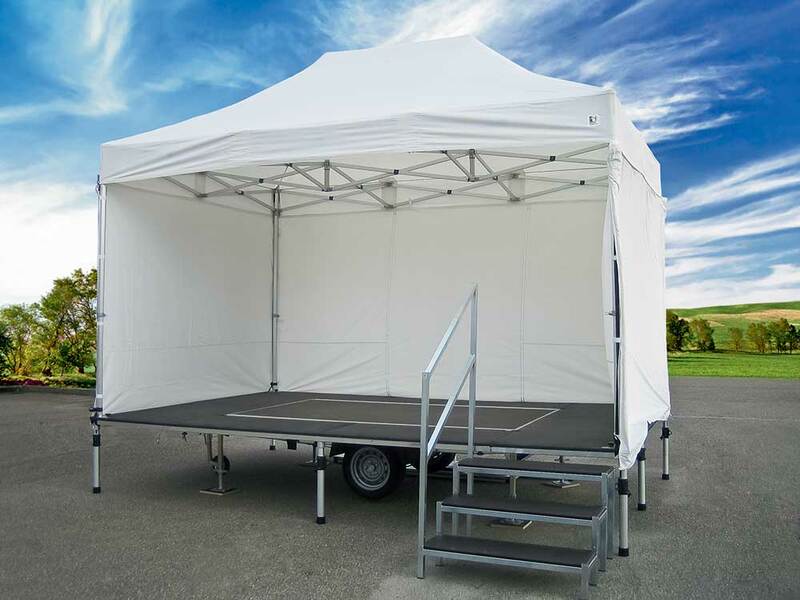 The range Stagecar® is the flagship product of Europodium, it’s a real movable stage of 36, 48 or 60 m². Fully mechanical and low maintenance, this product is intended for both local authorities and rental professionals. The design of the Hydrau® range is identical to that of Stagecar®. Our hydraulic know-how allows us to incorporate 4 jacks under the frame and 2 jacks in the columns. 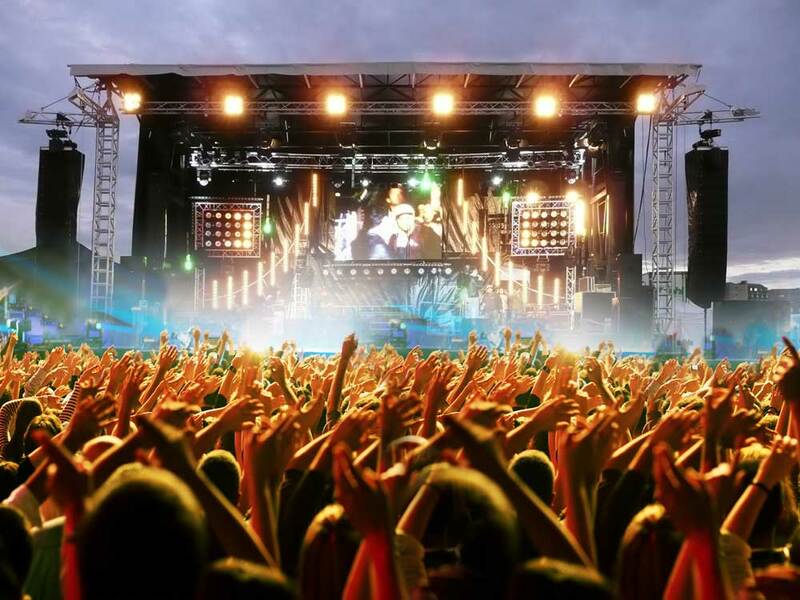 The capital gains being a simplification of the assembly, an additional clearance of 1 m and an adjustable floor height of 0.90 to 1.60 m.
The range of mobile ALPHASTAGE® podiums is at the center of our activity and is the flagship of our production. 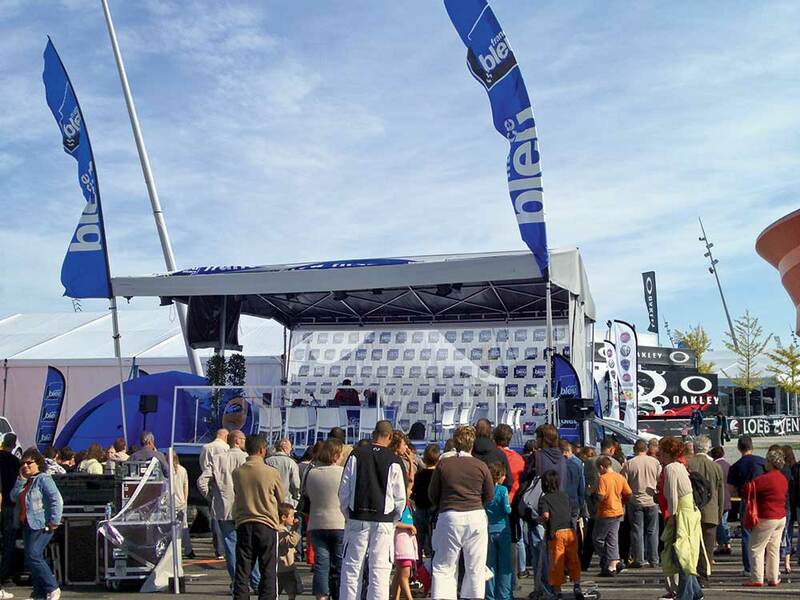 We design and manufacture mobile podiums based on 80-256 m² semi-trailer chassis for entertainment professionals worldwide.